Appropriated and Flown Nonstop Straight To The Emerald City. I am talking about Raven! Unarguably, The most pleasingly playable Offset Guitar on Earth. Raven presents itself with the best stage manners ever!!! • Outstandingly negotiable and nimble to manage—strap in all night long—so comfy. • Sounds robustly gorgeous—even before you plug in. • Simple to use and super diverse Switching gives access to a rich sonic pallet with just a touch. • Light, svelte and agile to hold and to play. • Crazy-good and ridiculously-stable, in-tune performance that makes bending, blazing and chording a breeze. Yes, pure playing joy and elevated Offset performance are the primary perks of Raven. Think I am exaggerating—even just a bit? Nope! Hold one. Play one. Enjoy, in joy-filled musical bliss. 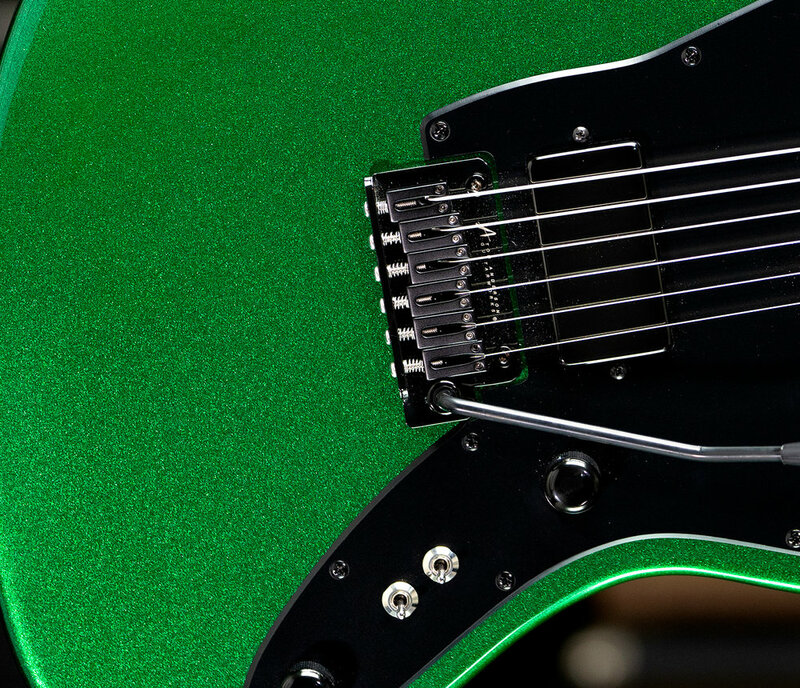 And yes, it was Thomas who was totally appropriately appropriate when he appropriated this Raven for himself by requesting that we build it for him with a gorgeous Metallic Green finish—never before see on an Anderson Raven. He called Brian’s Guitars in Cheshire, Connecticut, they talked, we talked and together we created this new and very glistening vision. Some are no doubt heralding Thomas as a genius—the Emerald visionary of his time as his Raven soars in a new and vibrant Metallic Green.